The edible seed is a grain (caryopsis) 5–12 mm long and 2–3 mm thick. Procuring: Rice is normally grown as an annual plant, although in tropical areas it can survive as a perennial and can produce a ratoon crop for up to 30 years. The grains of long-grain rice (high amylose) tend to remain intact after cooking; medium-grain rice (high amylopectin) becomes more sticky. Medium-grain rice is used for sweet dishes, for risotto in Italy and many arrossos -as arròs negre, etc.- in Spain. Rice is cooked by boiling or steaming, and absorbs water during cooking. Cleaning: Wash the rice by rinsing it in the pot. 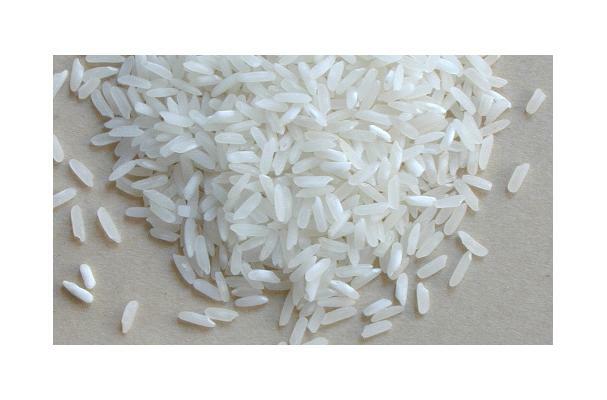 If you buy rice in bulk, freeze it for three days to kill any weevil or insect eggs. Transfer the contents into tightly secured jars, and store in cool place. Brown rice is very different than the white rice from storage point of view. Brown rice has oils that can quickly become rancid as they are oxidized. Preferably brown rice should be stored in the refrigerator. Rice is often directly associated with prosperity and fertility, hence the custom of throwing rice at newlyweds. In India, rice is always the first food offered to the husband by his new bride, to ensure they will have children. When the children grow, they are given rice as their first solid food. In Japan rice has its own God, Inari, and Indonesia its own goddess, Dewie Srie. Many rice legends live on in many cultures. History: Farmers from across Asia are the main producers of rice.Wild rice seeds were first collected and planted by people in South-East Asia over 7,000 years ago. It was grown for food in the watery deltas of Bangladesh, Burma and Vietnam. From these countries, traders carried rice seeds to china and Indonesia.